Posted on 03 Nov 2016. The first of these is the Sax Summit at the legendary 606 Club in Chelsea on 12th November. It's a real honour to be asked to play at this event, the Sax Summit is an annual gig during the festival featuring some of the finest players in Europe, so It's really exciting to be part of it. This year I will be 'jousting' with some incredible saxophonists. Firstly it will be my first chance to play the amazing Peter King, one of my heroes. He is one of the greatest alto saxophonists ever to have lived. Also playing will be Jazz Messenger Jean Toussaint and fellow rising star Josh Arcoleo. Jazz FM have done a story on the concert, which you can read here. 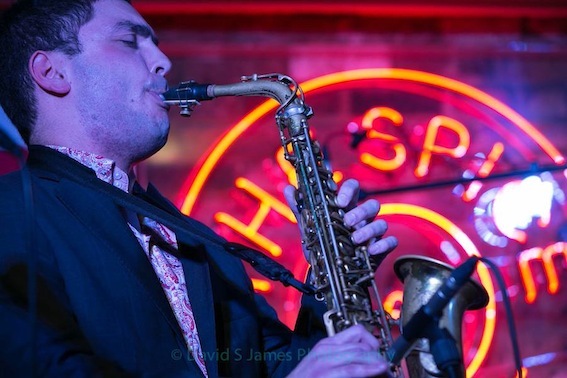 Next up I'll be playing at the iconic Ronnie Scott's Jazz Club in Soho on the 15th November. I'll be co-leading a group with regular collaborator Quentin Collins, who is just the most incredible trumpet player. We'll be paying tribute to the classic recording 'Blues and the Abstract Truth' by Oliver Nelson. Also playing will be Denys Baptiste, Andrew McCormack, Conor Chaplin and Dave Hamblett. Buy tickets here. Finally I'll be doing a special edition of 'Unfolding In Tempo' at The Spice of Life on November 18th. I'm really looking forward to this one, as it will be featuring special guest Byron Wallen. It will be my first time playing with Byron. Also performing will the fantastic Robert Mitchell, Alex Davis and Matt Fishwick. Buy your tickets here. Hope to catch you at one of these gigs!